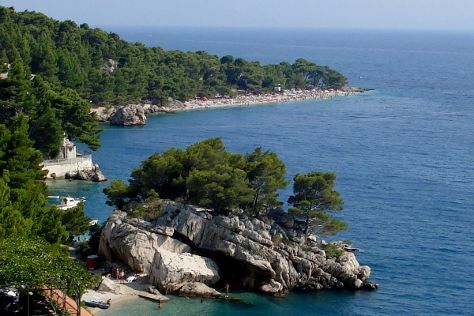 Your itinerary includes some good beach time at Punta Rata Beach and Brela Beach. There's lots more to do: delve into the distant past at Diocletian's Palace, take your sightseeing to a higher altitude at Marjan, don't miss a visit to The Peristyle of Diocletian's Palace, and contemplate the long history of Old Split. For ratings, more things to do, reviews, and more tourist information, read our Split vacation planner. London, UK to Split is an approximately 6.5-hour flight. You can also drive; or take a bus. You'll lose 1 hour traveling from London to Split due to the time zone difference. Traveling from London in August, expect Split to be a bit warmer, temps between 36°C and 23°C. Finish your sightseeing early on the 6th (Sun) so you can ride a ferry to Hvar. Escape the urban bustle at Dubovica and Pakleni Otoci. Relax by the water at Sveta Nedilja and Zavala. Next up on the itinerary: steep yourself in history at Spanjola, admire the striking features of Franciscan Monastery, and take in the spiritual surroundings of St. Stephen's Cathedral. 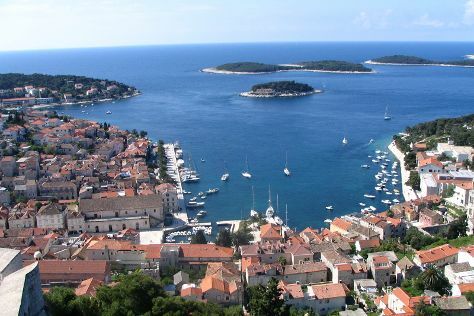 To find other places to visit, ratings, reviews, and tourist information, use the Hvar trip itinerary planner. Ride a ferry from Split to Hvar in 2 hours. While traveling from Split, expect little chillier days and about the same nights in Hvar, ranging from highs of 32°C to lows of 26°C. Finish your sightseeing early on the 10th (Thu) so you can travel to Dubrovnik. Explore hidden gems such as Gornji Ugao Tower and Franjo Tudman Bridge. Visiting Island of Lokrum and Kayaking & Canoeing will get you outdoors. And it doesn't end there: delve into the distant past at Gradske Zidine, don't miss a visit to Dubrovnik Cable Car, appreciate the extensive heritage of Old Town, and steep yourself in history at Stradun. For more things to do, where to stay, maps, and other tourist information, refer to the Dubrovnik trip generator. You can ride a ferry from Hvar to Dubrovnik in 4 hours. Alternatively, you can drive. In August, daily temperatures in Dubrovnik can reach 34°C, while at night they dip to 24°C. Finish your sightseeing early on the 12th (Sat) to allow enough time to travel back home.